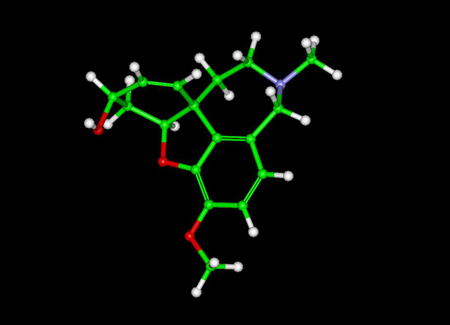 Galantamine or galanthamine (trade names: Nivalin, Razadyne, Razadyne ER, Reminyl) is a chemical used for the treatment of mild to moderate Alzheimers disease and various memory impairments. It is an alkaloid that is obtained synthetically or from the bulbs and flowers of the Caucasian snowdrop Galanthus woronowii (Amaryllidaceae) and related genera like Narcissus (daffodil), Leucojum (snowflake) and Lycoris including Lycoris radiata (Red Spider Lily). The active ingredient was isolated by prof. Paskov 1959 (Sopharma, Bulgaria) from a species tradionally used as a popular medicine in Eastern Europe and thus the idea for developing a medicine from these species seems to be based on the local use (ie, an ethnobotany-driven drug discovery). It has been used for decades in Eastern Europe esp. in the symptomatic treatment of polio (poliomyelitis) and was later developed by Janssen Pharmaceutica into an Alzheimer medication. In the US it has been sold as a dietary supplement for memory and dream support prior to being approved as a drug by the FDA. The U.S. Food and Drug Administration (FDA) and international health authorities have published an alert based on data from two studies during the treatment by galantamine of mild cognitive impairment; higher mortality rates were seen in drug-treated patients. (14) On April 27, 2006, FDA approved labeling changes concerning all form of galantamine preparations (liquid, regular tablets,and extended release tablets) warning of the risk of bradycardia (and sometimes atrioventricular block,especially in predisposed persons). At the same time, the risk of syncope seems to be increased relative to placebo. These side effects have not been reported in any other studies except in mild cognitive impairment. Woodruff-Pak DS, Vogel RW 3rd, Wenk GL, "Galantamine: effect on nicotinic receptor binding, acetylcholinesterase inhibition, and learning" Proc Natl Acad Sci U S A. 2001 Feb 13;98(4):2089-94. Birks J. "Cholinesterase inhibitors for Alzheimer's disease." Cochrane Database Syst Rev. 2006 Jan 25;(1):CD005593. Thomas Yuschak (2006). Advanced Lucid Dreaming (1st ed.). Lulu Enterprises. Thomas Yuschak (2007). Pharmacological Induction of Lucid dreams. http://www.advancedld.com/f/Pharmacological_Induction_of_Lucid_Dreams.pdf. "Substances that enhance recall and lucidity during dreaming". Stephen LaBerge - US Patent. http://www.freepatentsonline.com/20040266659.html. Retrieved 2007-10-29. "Galantamine LDS Profile". Yuschak LDS Profiles. http://www.advancedld.com/galantamine.html. Retrieved 2007-10-29. "FDA ALERT: Galantamine hydrobromide (marketed as Razadyne, formerly Reminyl) - Healthcare Professional Sheet". Postmarket Drug Safety Information for Patients and Providers. Food and Drug Administration. March 2005. http://www.fda.gov/Drugs/DrugSafety/PostmarketDrugSafetyInformationforPatientsandProviders/ucm126140.htm. Retrieved 2009-07-30. "Safety Labeling Changes Approved By FDA Center for Drug Evaluation and Research (CDER)". MedWatch, The FDA Safety Information and Adverse Event Reporting Program. Food and Drug Administration. April 2006. Archived from the original on 2007-10-09. http://web.archive.org/web/20071009145003/http://www.fda.gov/medwatch/safety/2006/apr06.htm.